Sweet & Tangy Lemonade from your favorite neighborhood stand. This will certainly freshen up your day! 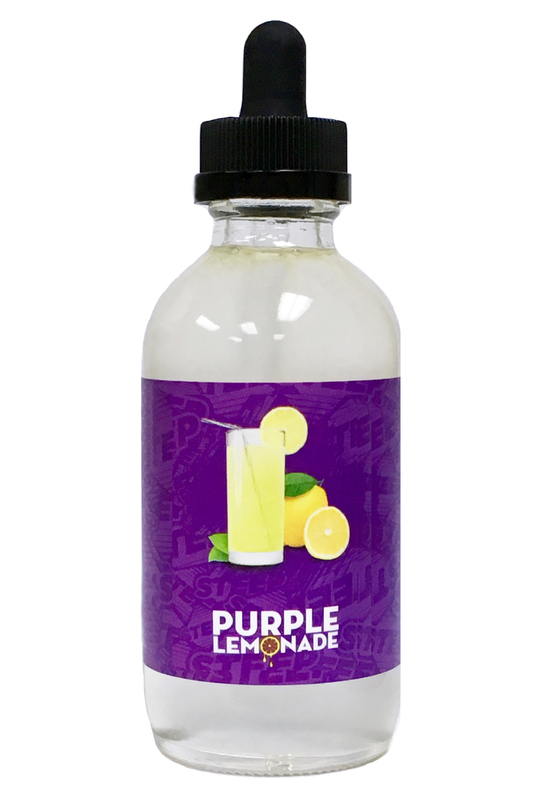 Our e-juices comes in your preference of 0, 3, 6 and 12 mg and is a 60vg/40pg blend. Dude this is one of the best flavors I have ever tried,lemony goodness!!! Best lemon I've ever tasted. Customers are thrilled. Use of any products redeemed or purchased on SteepVapors.com is at your own risk. By redeeming a product and paying for shipping, you agree that you will not hold, Steep Vapors Inc, liable for any loss, damages, injuries or even death as a result of using any of the products purchased or redeemed on SteepVapors.com. Product safety (batteries, mods, tanks, RDA, etc) is the sole responsibility of the recipient. Proposition 65: This product contains detectable amounts of chemicals known to the state of California to cause cancer, birth defects or other reproductive harm. By purchasing any eJuices on our site, you understand that eJuices may contain nicotine which can be harmful or fatal to humans in large doses and have the same effect to children and animals in smaller doses.